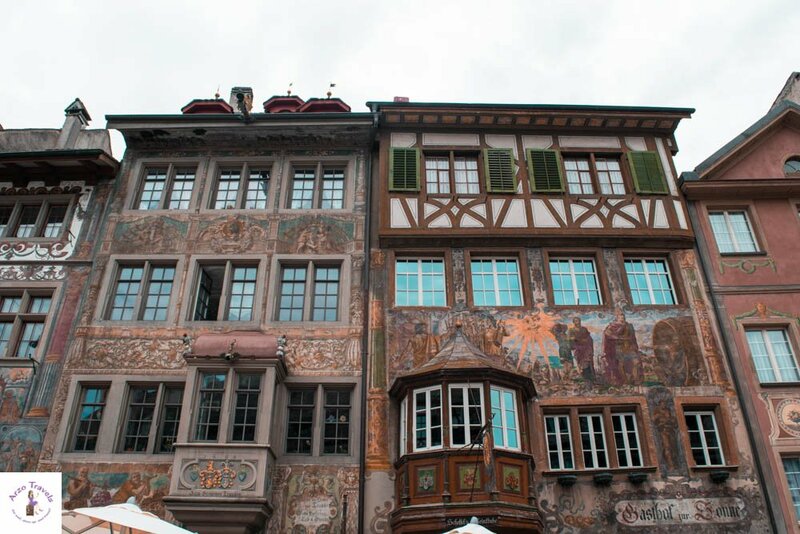 If you are planning to make Zurich your base for your Switzerland vacation (good choice by the way) you have tons of options for day trips from Zurich – find my favorite day trips from Zurich and see what else there is to do near Zurich. If you scroll through my travel blog you´ll see that my blog is basically full of Switzerland posts. 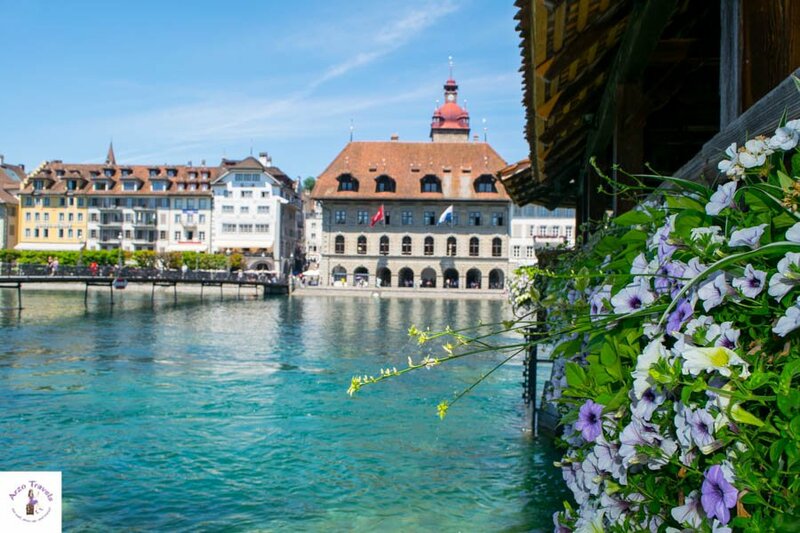 I have tips on what to do and see in Zurich, Lucerne, Montreux, Interlaken and so on, but I have never gotten to the point of summing up my favorite day trips from Zurich. Zurich is a great place from which to do some day trips to amazing places and here are my favorite day trip ideas from Zurich. 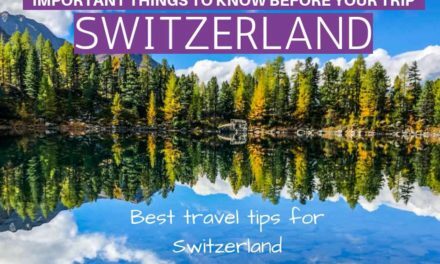 Zurich is not a cheap destination but a great base for all places mentioned below. Read my accommodation guide and find the perfect place to stay in Zurich for you. 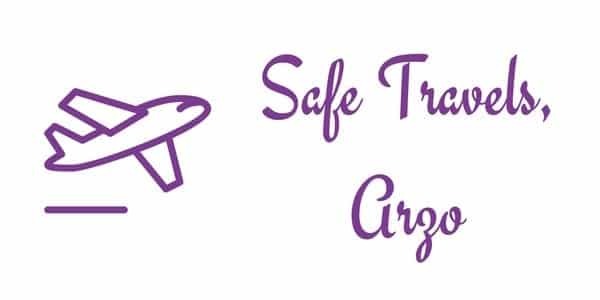 Ready to hear about day tours from Zurich – you can do all day tours by train, car, and some as guided tours. 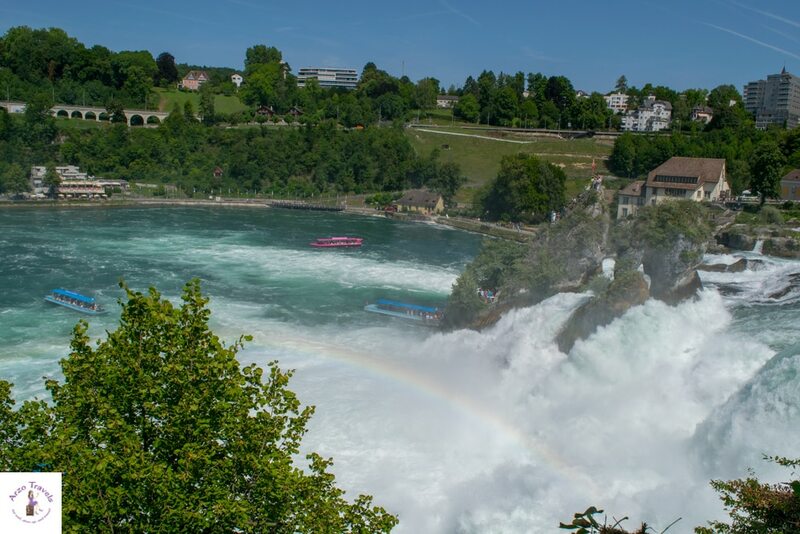 The Rhine Falls near the German border make a great trip from Zurich and so far I have visited these spectacular falls three times – and with every visit, I have enjoyed it more. The Rhine Falls are great to visit on sunny days as well as on rainy days (the falls were crazy once when I visited a day after some really, really heavy rain). The falls are impressive (after all it is the biggest waterfall in Europe) and thus a perfect day trip from Zurich. Pay about five euros to get on the visitor´s platform and see the waterfalls from above. To visit the platform you need to get to Schloss Laufen. Do a boat tour on the Rhine River to get close to the waterfalls (different prices for different tours – starting at about five euros) – a boat tour on the Rhine is a great way to get really close to the falls and to do a boat trip you need to get to it via Schlössli Wörth. There are some restaurants and cafes on both sides, so if you visit plan in at least three to four hours so you are not stressed. Click here to read more about the Rhine Falls – how to get there, how much to pay etc. Afterwards, it´s time to visit either Schaffhausen or Stein am Rhine, both are very cute towns close by. 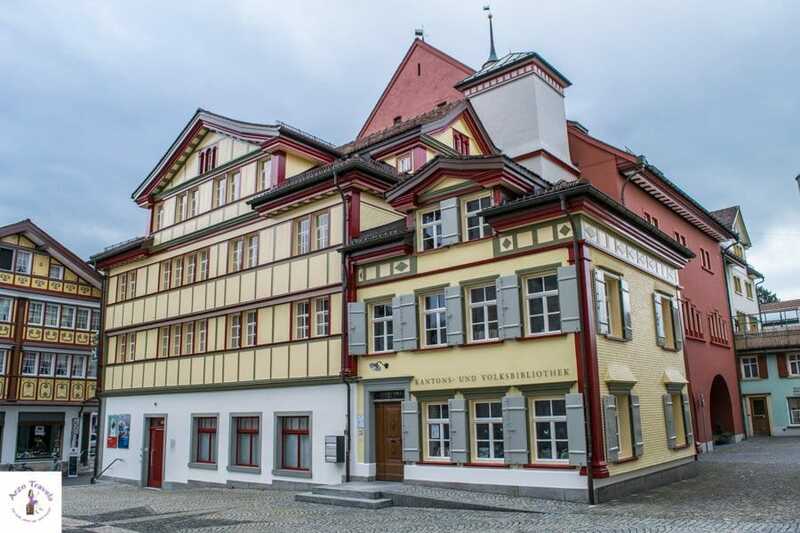 Stein am Rhine impresses with the most stunning facades while Schaffhausen is extremely colorful and has a few more sights to see. Click here for more information about my trips to the Rhine Falls or here for tips on what to do in Schaffhausen. Okay, here is my next tip. Switzerland´s capital, Bern (Zurich might be the financial capital but it is not the official one) is a beautiful city about a one and a half hour drive from Zurich. 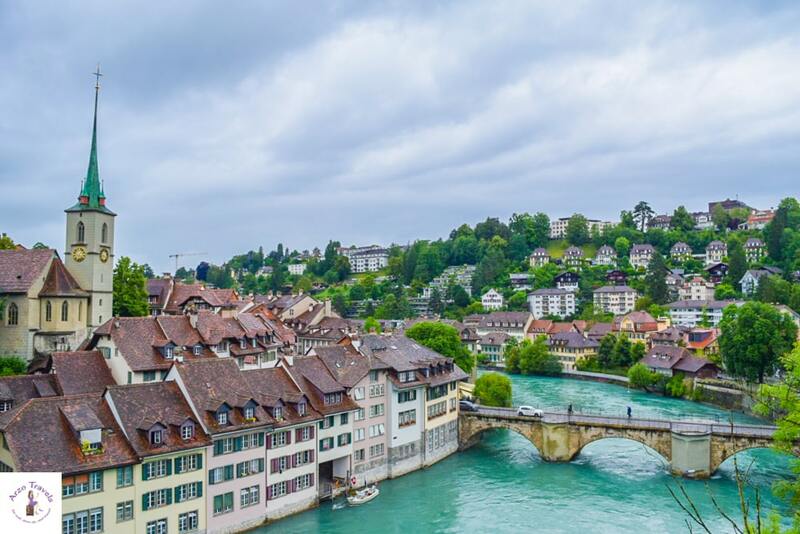 I once read that Bern is one of the most beautiful capitals in the world, and I definitely agree that is a gorgeous place to visit, and a great day trip from Zurich, and that it should be on every Switzerland itinerary. 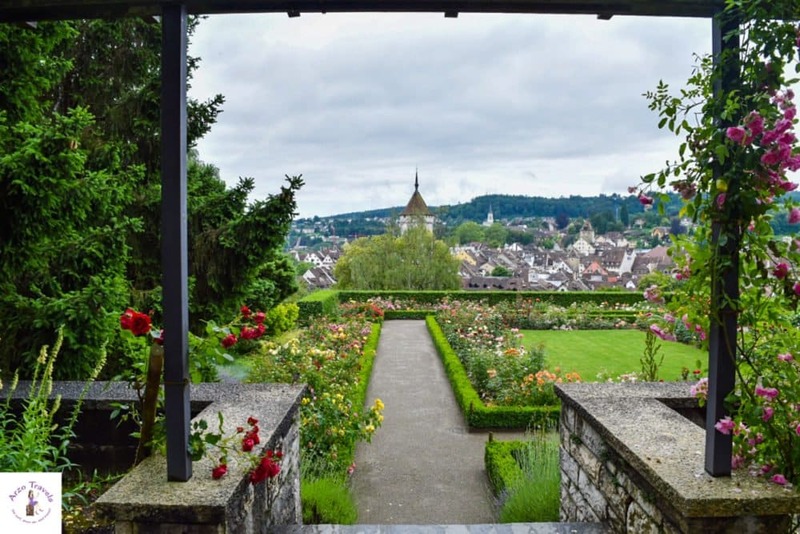 The Old Town of Bern is quite big and charming and for the best views of Bern visit the Rosengarten. Oh, and do not forget to say hi to the bears (yes, there are bears living in Bern next the Aare river, but do not worry the area is fenced off so you stay at a safe distance) and stroll along the Aare – which is, in my opinion, one of the most beautiful rivers here in Europe (let´s face it rivers are not normally that pretty). Click here to read more about my tips for Bern. The next tour takes a full day – meaning getting up early. But be assured, it is totally worth it. Getting up Jungfraujoch is probably one of the most recommend tours in Switzerland. 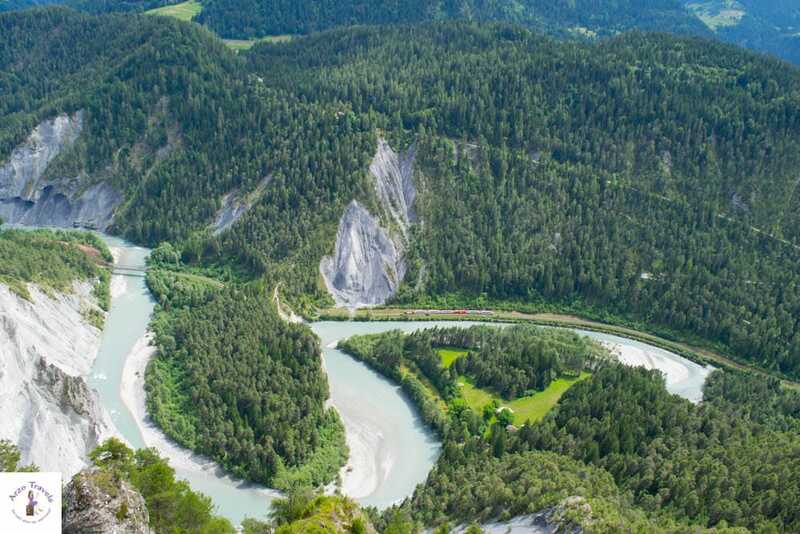 I did the trip while I stayed in the region of Interlaken for a couple of days, but it is not much more expensive if you do it as a day trip from Zurich. 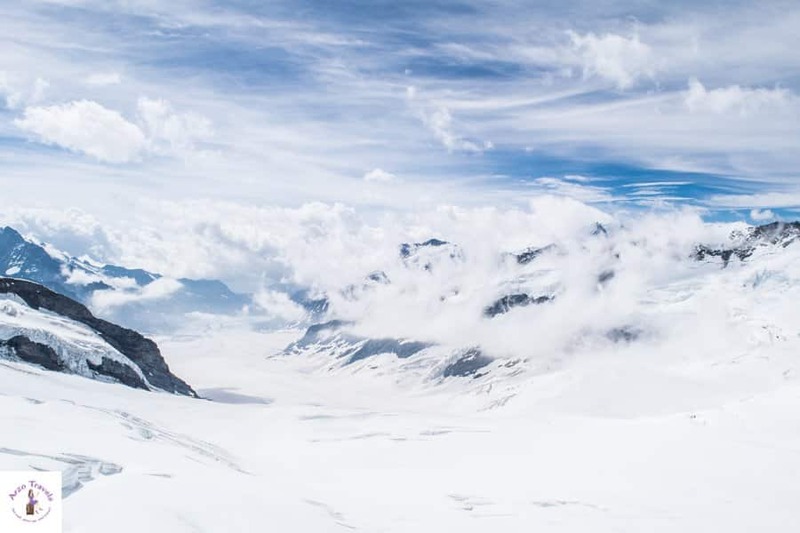 A day trip to the one and only Jungfraujoch, the place where snow is guaranteed throughout the year, is one of the best trips you can take from Zurich. It will definitely take a full day and you´ll be sitting a lot on the train/trams – but believe me, train riding in Switzerland is a highlight and so you´ll have amazing views and will see the highest train station in Europe. 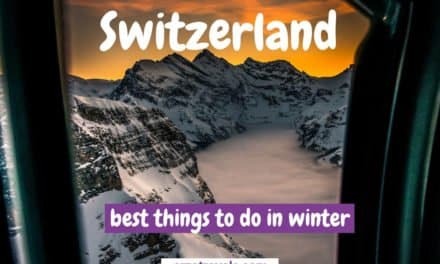 There are a few more things to see up Jungfraujoch – these include an Alpine museum, an Ice Palace, and once up there you can even do a few more sporty activities. There are also tons of different restaurants to suit every taste (even Indian food is available)! Also, the train stops several times along the way. Often the five-minute break gives you enough time to hop off and have a quick look but you might like to stay longer at the Kleine Scheidegg (and then take the next train). Lucerne is a beautiful city just 45 kilometers from Zurich and is considered to be one of the most gorgeous places in Switzerland – though Lucerne is indeed very pretty, do not skip the mountains close by and also visit at least one of them. I was determined to write a bad review about my trip to Mount Pilatus but now I am recommending that you go and visit this gorgeous place. Why? I visited and at the ticket shop I found out that the waiting line was two hours and there was not any free Wi-Fi anywhere. BUT I am happy that I still went up because my trip to Mount Pilatus was one of the highlights, and I am sure that you´ll enjoy it as much as I did (at least on a sunny day). The views from there were beyond amazing and on a sunny day, you can spend all day there doing all kinds of things – including some great activities, people watching, eating, and so on. 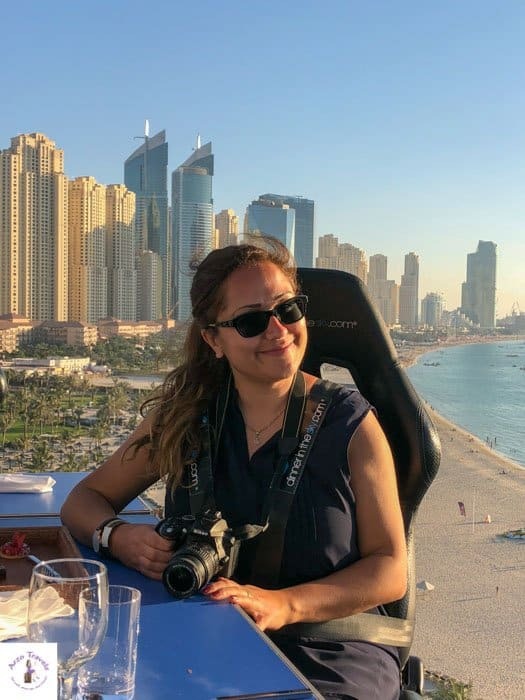 I went on a very busy day and I do not think the lines are always that long – additionally, I would like to emphasize the beautiful surroundings and the option to have a snack in one of the several restaurants or just the option to chill at Lake Lucerne while waiting for the cogwheel. If you have some time left you could either do a short trip to Lucerne – there pass the famous Chapel Bridge and stroll along Lake Lucerne. You´ll find plenty of cafes and restaurants to take a break! You can either get to Lucerne yourself and book the Mount Pilatus ticket individually or buy packages from Zurich. 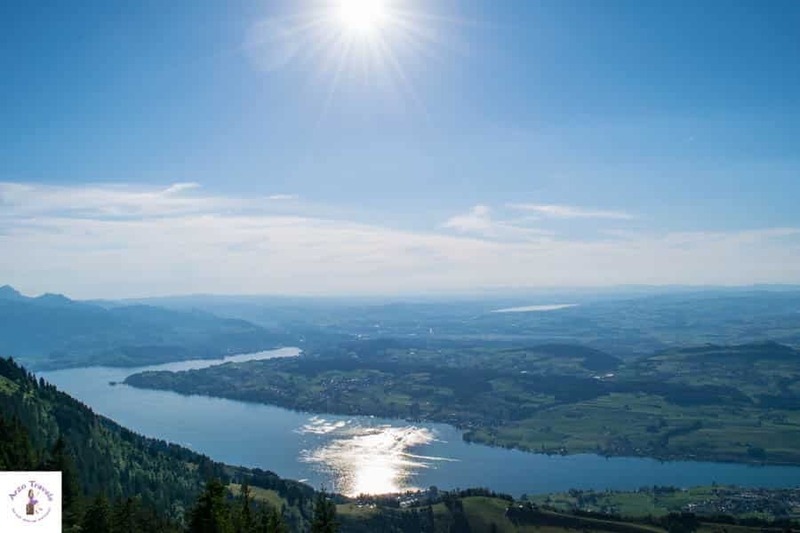 If you have less time or want to enjoy the great views from Mount Rigi you can get to Lucerne and then either take a bus or hop on a boat and get to Vitznau station to enjoy majestic views from Mount Rigi. Afterwards, you can head to Lucerne and enjoy several hours there before going back to Zurich. Mount Rigi offers great views of Lake Lucerne and if you ask me, it is one of the best things to do near Zurich. The view is great, the ride up is great, it feels like everything is great. 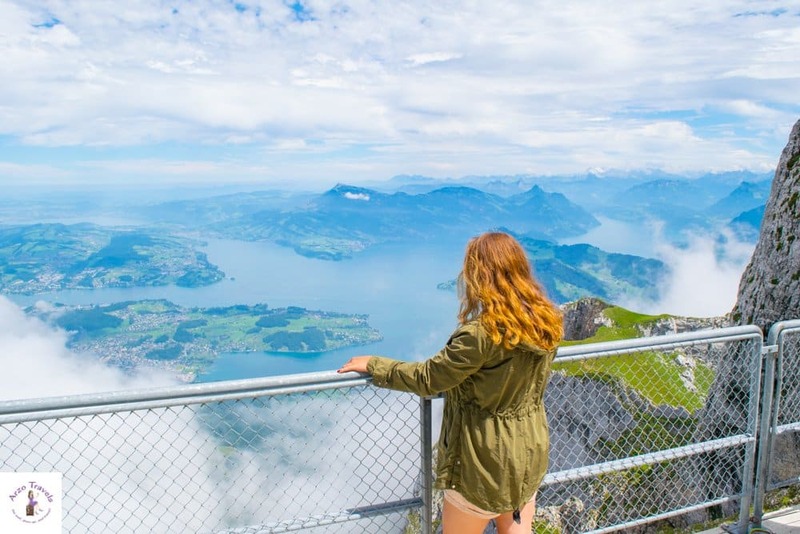 There is not so much to do up Mount Rigi as on Mount Pilatus, but since it takes less time getting up there is a great place to visit near Zurich if you like to spend more time in Zurich. It is free to visit with a Swiss Travel Pass. 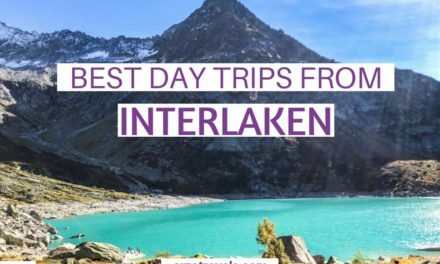 While I am writing this my heart is shattering into a thousand pieces because I actually recommend spending at least a few days in Interlaken. The Bernese Oberland is the most beautiful region the world. Yes, it is (take my opinion as fact :)). The region of Interlaken, located in the Bernese Oberland, is extremely beautiful and I definitely recommend staying there for a few days. 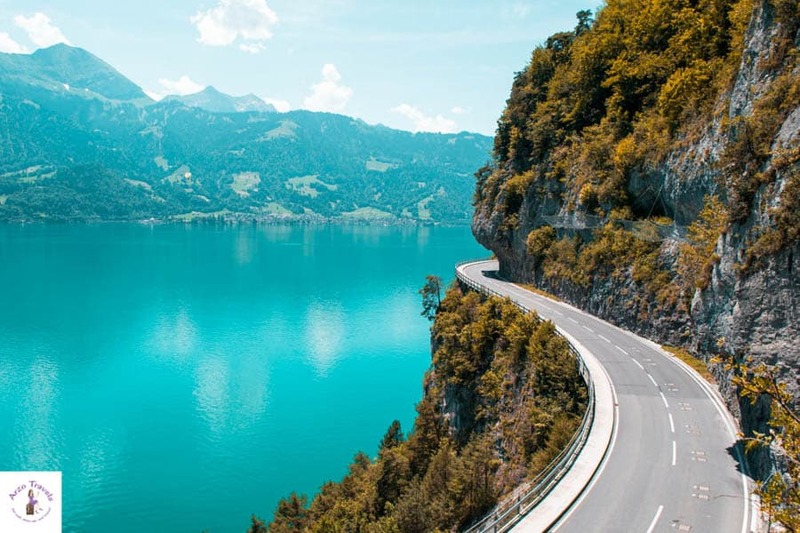 However, I know sometimes this is not possible, so if you have limited time and your base is in Zurich you have to do a day trip to Interlaken. Doing a day trip to Jungfraujoch is one option (which takes a full day), another option would be to visit many places within one day. 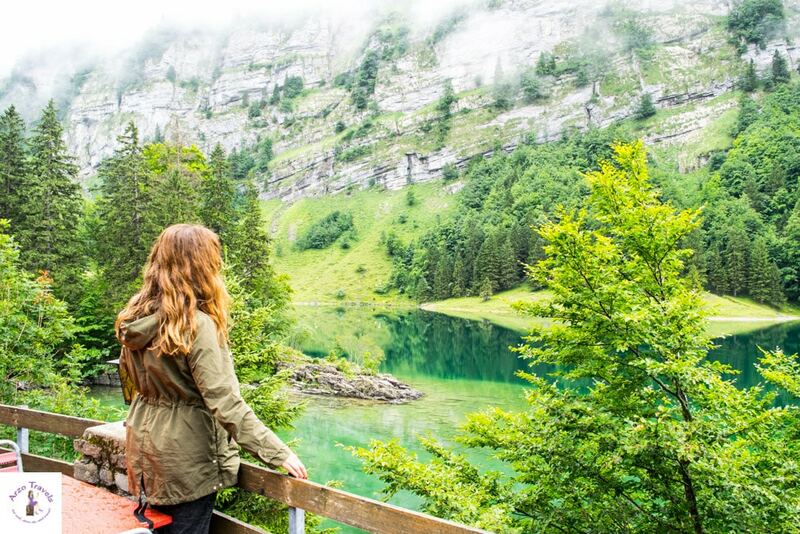 Visit St. Beatus Caves, do a trip to Brienzer Rothorn, get on Schynigge Platte, visit Lauterbrunnen and do something adventurous (Interlaken is the most popular place for adrenalin junkies) or explore the cute town of Thun with its gorgeous castles. 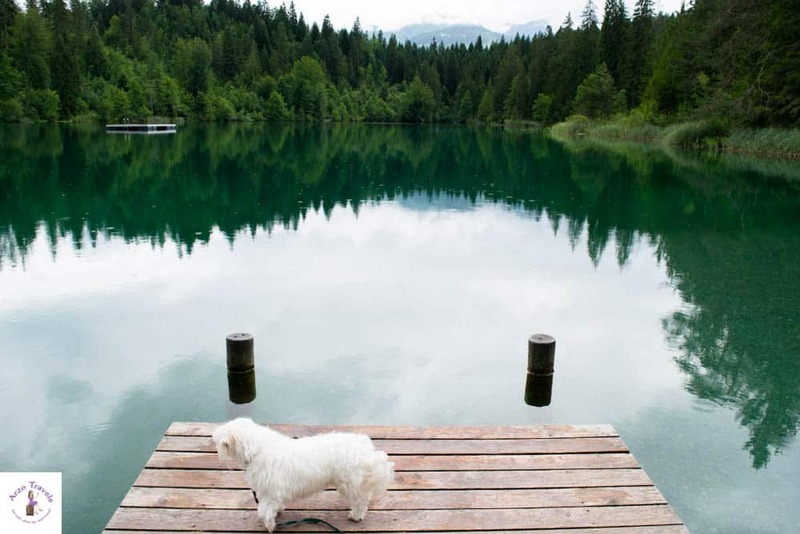 I visited Flims for the first time this year and I was astonished…. This place is often overlooked, even though it indeed makes a great day trip from Zurich. You should plan in a full day to experience this calm place that is not full of tourists. 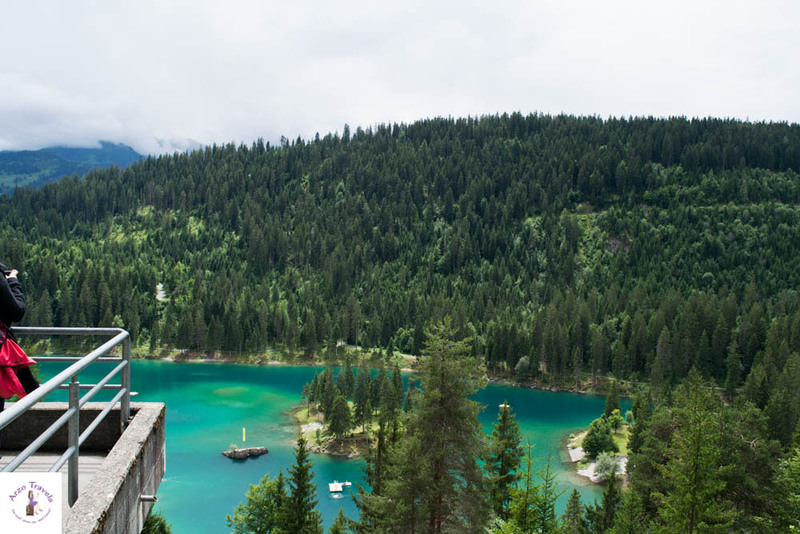 I heard about several of the lakes in Flims but it seems they are not that famous and so I did not get to see many foreigners and I mostly stumbled upon Swiss people who were enjoying this beautiful place. Flims was so beautiful and though the weather was not perfect I fell head over heels in love with it. The best thing about Flims is that there are three gorgeous sights that you can visit with only one hike. Yes, it’s true! So, for lazy people who like efficiency, this is a pretty important aspect and comes in quite handy. There is an entry fee to spend time at Lake Cauma and Lake Cresta (read more about it here) which is a few € but worth it if you like to spend directly at the lakes or even swim in them. Appenzellerland is a beautiful canton in the German-speaking part of Switzerland and is, in my opinion, often overlooked even though the Aescher has become world-famous. Stars like Ashton Kutscher (and bloggers like me, haha) have promoted this guest house on the Ebenalp mountain and so the Aescher has made it on the bucket list of many – getting there from Zurich does not take too long (by car about one hour, by public transportation about one and a half hours). Standing at the summit you will also have great views of the beautiful Lake Seealpsee – I recommend getting a single ticket for the cable car. You can either get up via cable car (about 15 euros one way) and then hike down and stop by beautiful Seealp and rest by the lake. 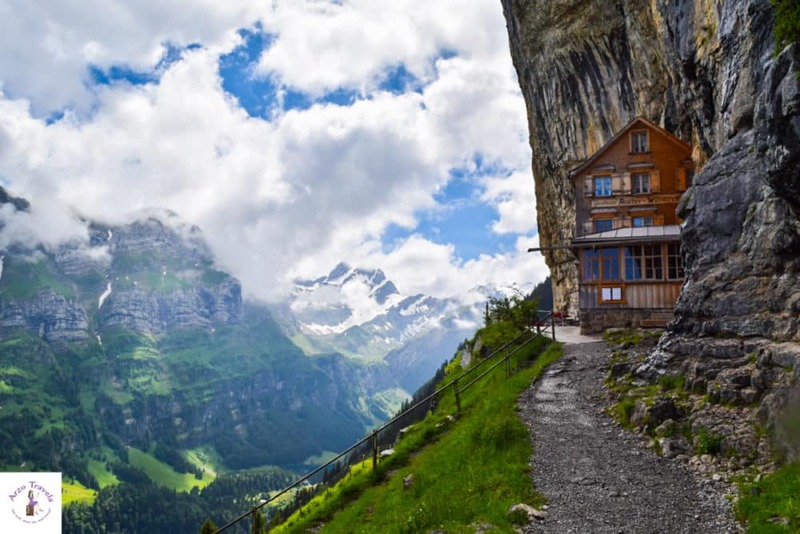 Or, if you are sportier you can hike up and down which would make it a full day trip and probably won’t leave much time for a short visit to Appenzell. Afterwards, head to Appenzell to end your day. I definitely recommend a short stop at Appenzell, the town of the canton Appenzellerland, and discover one of the cutest towns in Switzerland. Though the town itself is really tiny (seriously it is small) it is a nice place for a short stroll and to finish your day. What do you think? 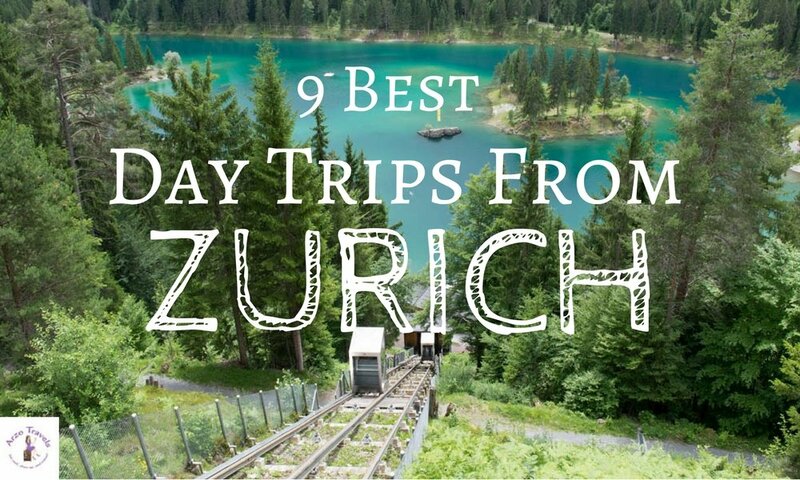 Is any of these places on your list for a day trip from Zurich? Let us know!